Food Glorious Food in Japan. Food in Japan is renowned for freshness and attention to detail. 5 Coming next – What meal can you get for 800 yen? 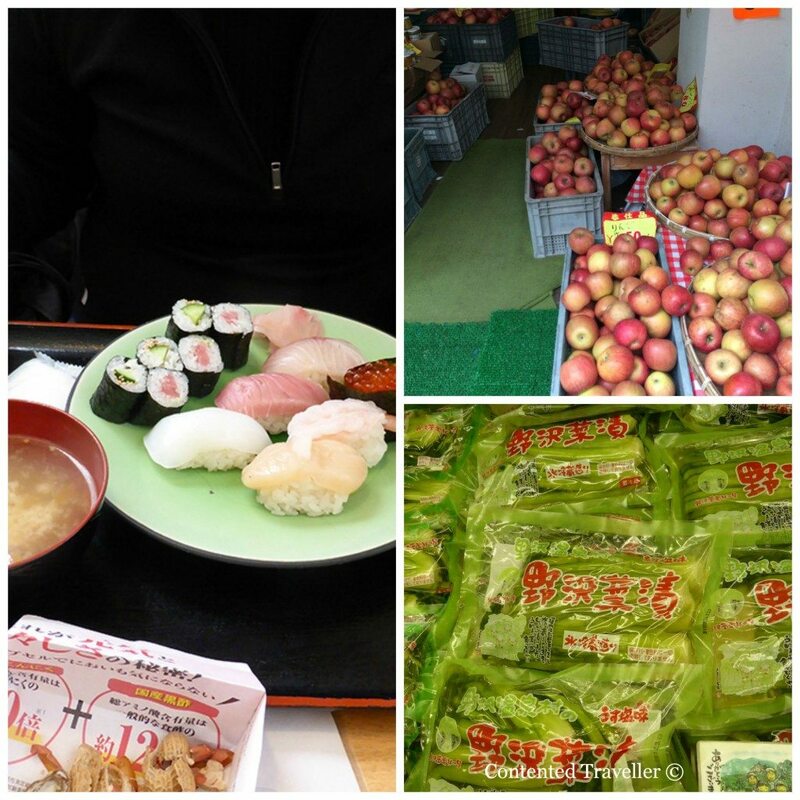 For a small village, there is no shortage of food options in Nozawa Onsen. 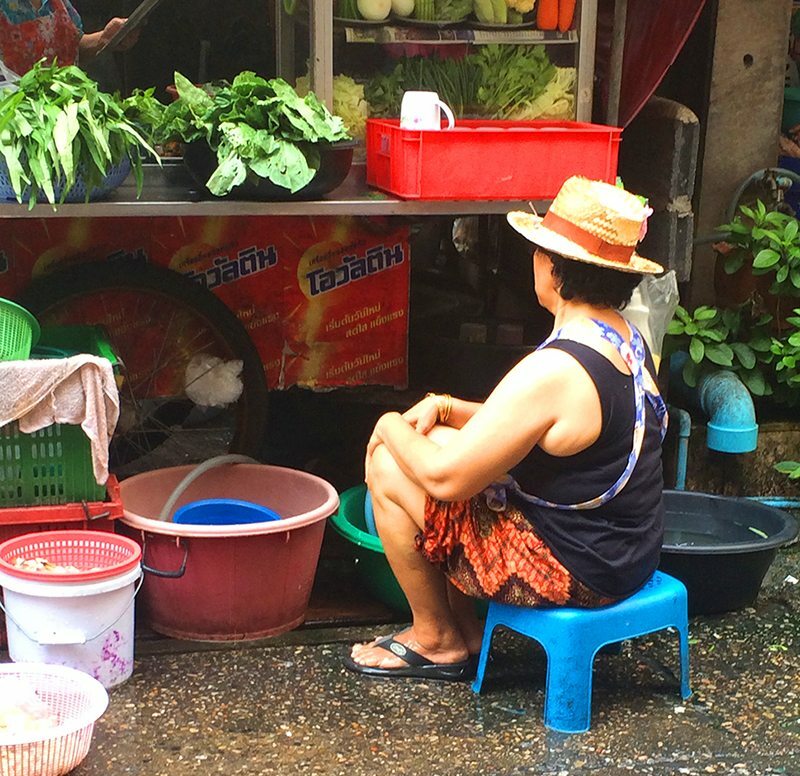 The village is a small farming community, which translates to a lot of great fresh produce. A lot of fresh produce means an inordinate amount of food outlets, be they restaurants, hole in the wall sites or indeed purpose opened living rooms. It is also a very popular ski resort where an epic amount of snow falls not to mention the fantastically hot onsens. 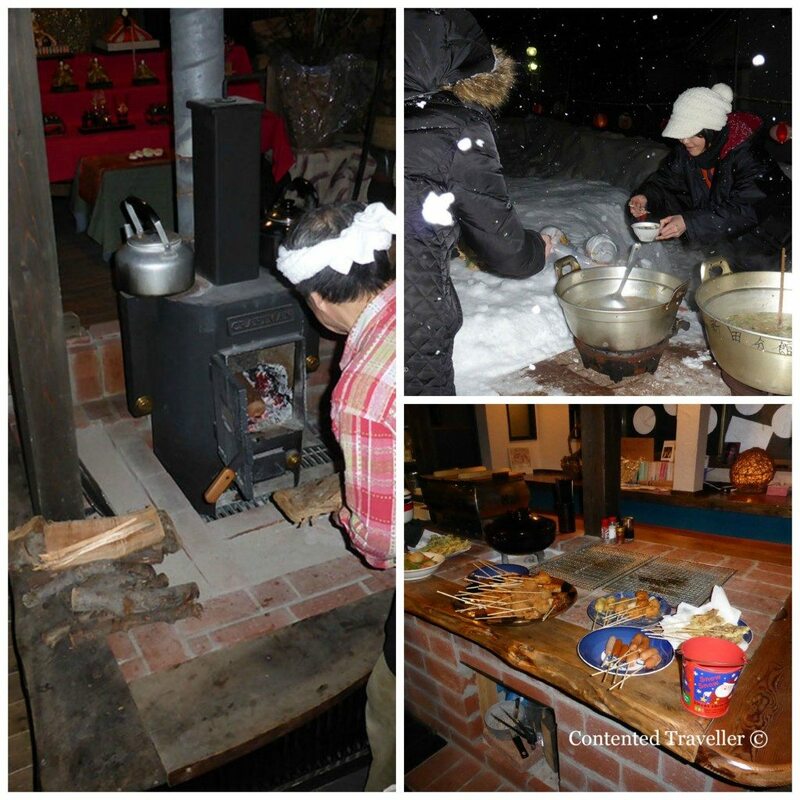 The townsfolk have opened their doors to accommodate the powder hounds and culture lovers in feeding us all. The food is not only fresh and local but is seriously good with a large variety. Choosing where to eat is always difficult. Many of the places do not have names. Our current favorite was only recently opened after a conversation in an onsen about the need for more food outlets in the town. The man then called his daughter back from Tokyo, and they have opened their living room to us all. The food is insanely good. This is probably the best gyoza we have ever had. Another man has a restaurant where he opens and closes at whim depending upon his mood. We have been there in the past, and he offers 3 dishes only. You might order something, but he chooses what he will give you and then charges you what he feels like at the time. Sometimes you get triple what you order and other times a third. Ditto the bill. It is not worth arguing as you go there for the antics. Apparently last night he got cranky and walked out mid-serving customers. Some left money and others had no idea what was going on. He remained shut today. We will see if his mood changes tomorrow. Luckily he seems to have a soft spot for us. Another restaurant has a chef who is the biggest man in the village and serves the some best handmade soba (buckwheat) noodles. He is of similar stature to a Sumo wrestler. It is often very difficult to know what is a restaurant or food outlet being as many are unsigned. At night, it is a bit easier as many displays the red lanterns. During the day, you could easily walk into someone’s home, and they would probably feed you anyway. As the town is built on hot springs, which gives rise to its name Nozawa Onsen, a lot of food is cooked in the main cooking onsen, Ogama Onsen where the temperature is 90 degrees Celsius. 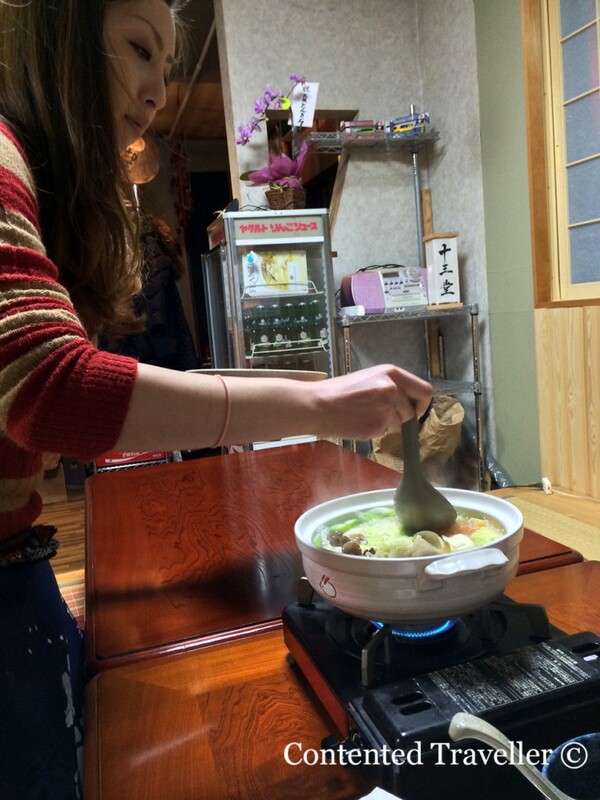 Here you will see the locals cooking the prized vegetables and my particular favorite, the onsen eggs. You can also cook you own eggs in one of the foot spas throughout the town. You buy them, grab a string bag and pop them into a spa bath, have your onsen and then your eggs will be ready. 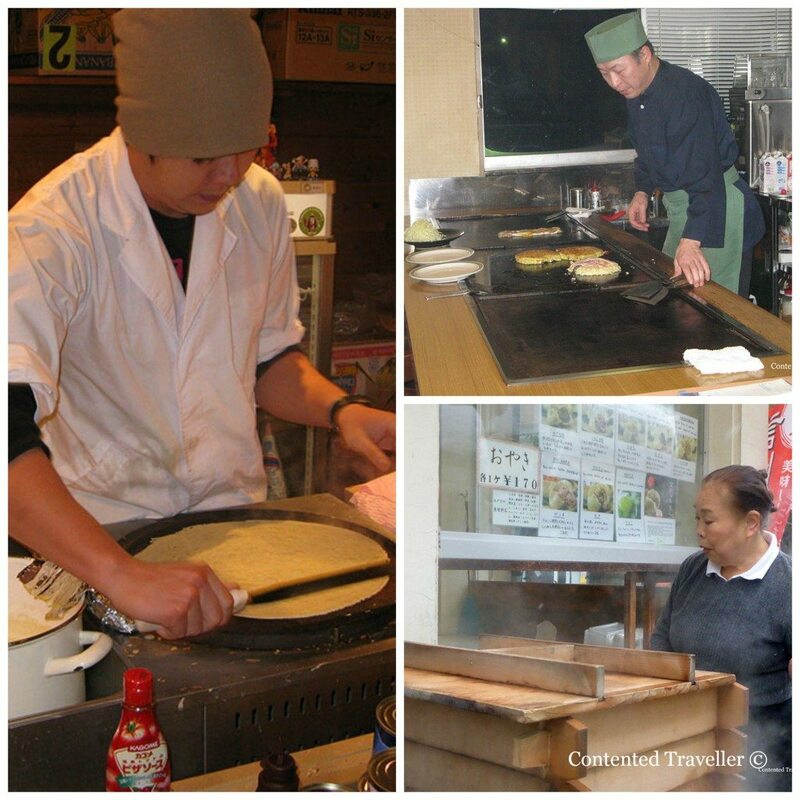 Other specialties of the town are the locally made ramen and udon noodles, okonomiyaki – a Japanese style pancake, sushi, and sashimi as well as Korean bbq. Much of the food is served in the tapas style, which works well to have bit of everything. The mackerel in Nozawa Onsen is one of the best-prepared fish ever. Similarly, Buta Kimchi – Pork and Kimchi Stir Fry is well worth a go as is the gyoza hot pot. Much of the food preparation is theatre in itself. The steamed buns that are found all over the village cannot be missed, nor can the apples that are quite simply so juicy and delicious. There are apple products of every description all over the village. All food is locally sourced and cooked in some of the most immaculately clean kitchens that I have ever seen. The food is good for you as it is based on the principles of vegetable, carbs, and protein. It is not at all difficult getting a vegetarian meal here, and if you happen to enjoy some offal, then again you won’t find it difficult to find this. I possibly don’t think that the very delicious Furiya banana and cream in a sponge wrap falls into this category of healthy food, but they are too good to resist. The soft and airy sponge cake is filled with whipped cream and a fresh banana. I feel justified in having one daily having eaten so much ‘good for me’ food and doubly justified because of the exercise involved in walking up and down hills to the various onsens and restaurants. 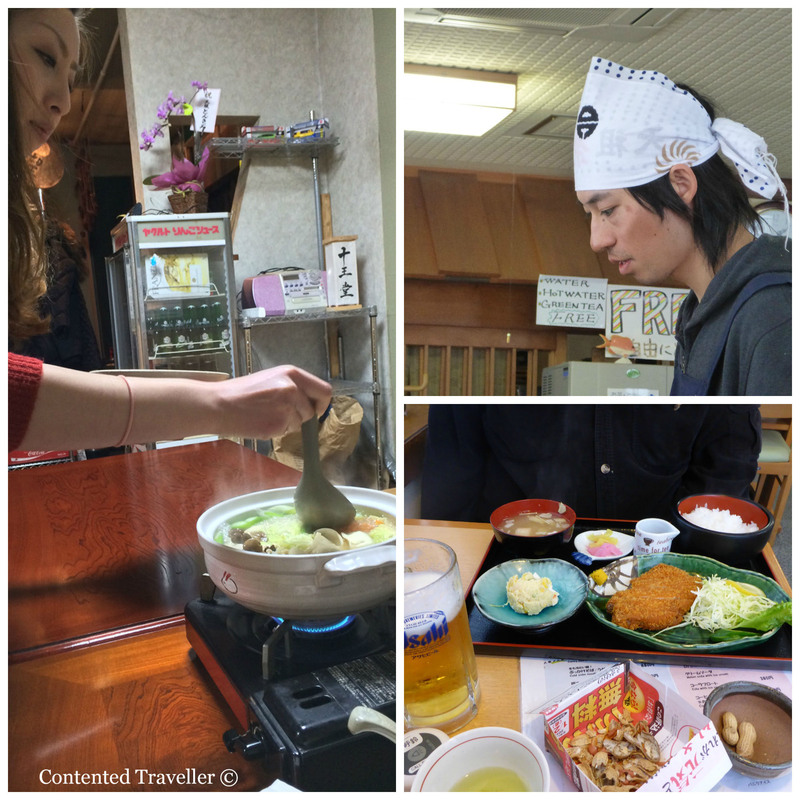 The food of Nozawa Onsen is definitely some of the best food we have tried and is a great example of eating locally sourced food that is both good for you and very reasonably priced. Coming next – What meal can you get for 800 yen?